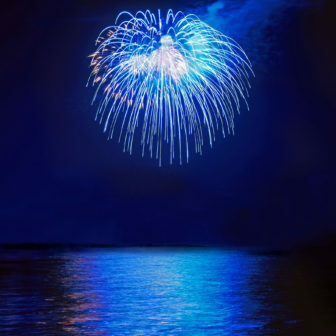 Enjoy a special water view of holiday displays in Norwalk, and avoid the crowds and traffic, by coming aboard one of the Fireworks Cruises offered by The Maritime Aquarium at Norwalk. The Aquarium is offering cruises to two fireworks displays aboard its R/V Spirit of the Sound, the country’s first research vessel with quiet “green” hybrid-electric propulsion. The 64-foot catamaran has two deck levels for optimum viewing enjoyment. Each cruise departs at 7 p.m. from The Maritime Aquarium dock (outside the IMAX Theater). Return is expected by 11 p.m. Food in small soft-sided coolers is allowed aboard the boat, but alcoholic beverages and glass bottles are prohibited. There are advantages to watching the rockets’ red glare from the water, said Dave Sigworth, the Aquarium’s spokesman. “First of all, you’re out on the Sound in the evening, which is the best time, especially if you get a gorgeous sunset,” Sigworth said. Tickets are $75 ($70 for Aquarium members). All participants must be at least 42 inches tall to board. Those under age 18 must be accompanied by an adult. R/V Spirit of the Sound has a climate-controlled cabin but participants should dress for time outside on deck, where the best viewing occurs. There is a restroom onboard. Capacity is limited so advance reservations are strongly suggested. 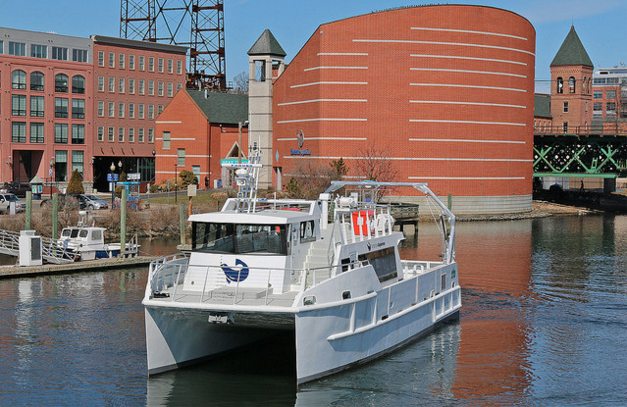 Reserve your tickets online – and see the full summer schedule for public cruises aboard R/V Spirit of the Sound – on the Maritime Aquarium website. Or call (203) 852-0700, ext. 2206.